Every now and then, we get to watch a movie where a supporting character is more memorable than the lead character. This is also true for drama series and no, it's not entirely because the lead actors were bad, though that is certainly a possibility too. Mostly, it's due to the fact that the supporting characters played their parts so convincingly well that you tend to remember them more. 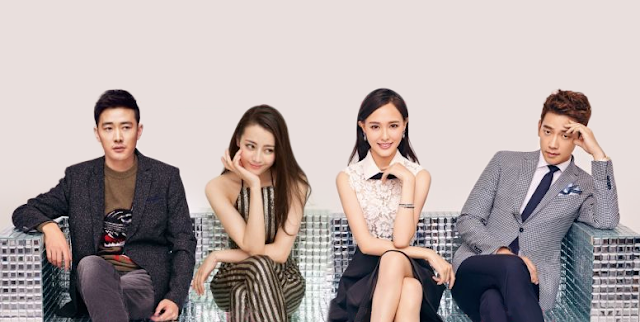 Dilraba Dilmurat played Gao Wen in the 2015 drama series Diamond Lover 克拉恋人starring Rain, Tiffany Tang and Luo Jin. Gao Wen was Dilraba's breakout role as the audience loved her as the charming second lead. While Tiffany Tang won Audience's Favorite Character in the 2016 China TV Awards, Dilraba won Best New Actress. The 2017 drama series Fighter Of Destiny 择天记 starred Janice Wu in a supporting role as Princess Bai Luoheng of the bear clan. Guli Nazha played the leading lady Xu Yourong and Luhan played Chen Changsheng in his first television drama as the main protagonist. 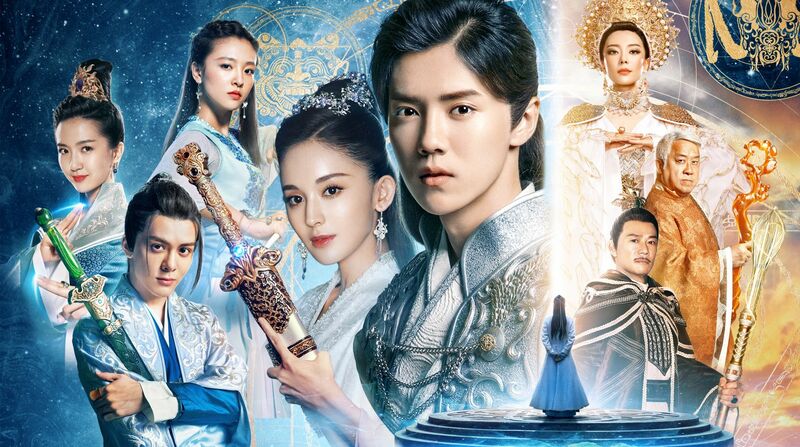 Many would watch the series for Luhan and Guli Nazha. Over the course of the series however, people began to notice Janice's character. She acted her part naturally and had a lot of stage presence. 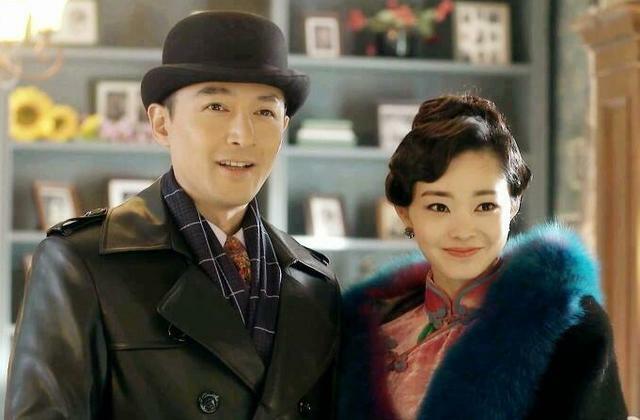 There are many who wish for Bai Luoheng to end up with Chen Changsheng instead. Song Yi played Yu Manli in the 2015 drama series The Disguiser 伪装者. 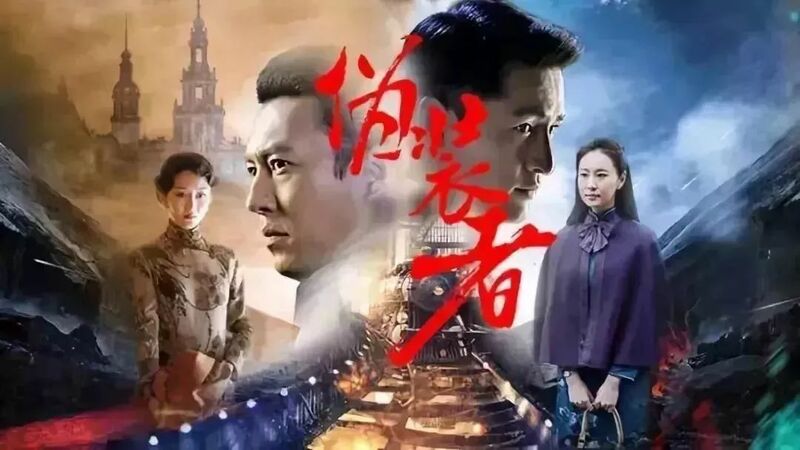 It is a spy drama starring Hu Ge and Jin Dong as dual male leads. Their characters were the brothers Ming Tai and Ming Lou. Yu Manli was Ming Tai's very capable partner and a lot of viewers thought that she was the main female lead at first. It was a gut punch that she wasn't and Hu Ge's character fell in love with a very forgettable female whom they introduced pretty late into the series. Yu Manli is not even in the main poster, so we had to include one of her with Hu Ge! 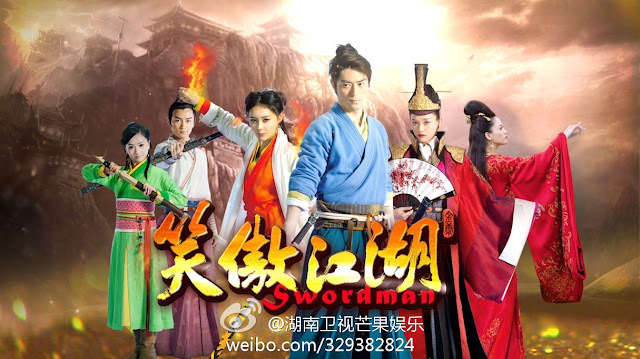 Yu Zheng's version of the 2013 drama series Swordsman 笑傲江湖 was very controversial at the time. He changed a whole lot of things from the classic Jin Yong novel, like gender swapping Dongfang Bubai into a woman who is played by Joe Chen and adding a love story between her and Linghu Chong played by Wallace Huo. In the novel and in every adaptation, it's generally known that the heroine is supposed supposed to be Ren Yingying, played by Yuan Shanshan, but Joe Chen played Dongfang Bubai so well and Yuan Shanshan fell so flat that people wanted to Linghu Chong and Dongfang Bubai to end up together. 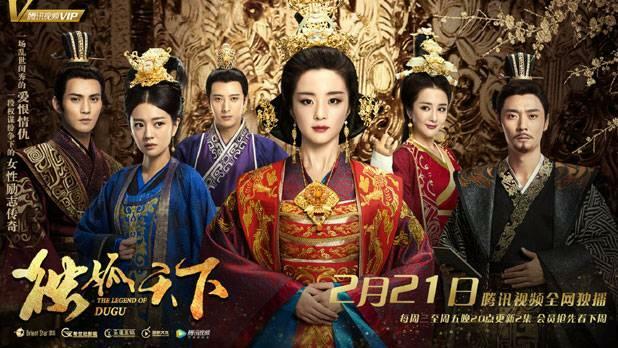 The 2018 drama series The Legend of Dugu 独孤天下 tells the story of Dugu Jialuo and Yang Jiang by Hu Bingbing and Zhang Danfeng. Ady An plays Dugu Banruo. Her character was extremely flawed, cunning, ambitious to a fault and a perfect match for Yuwen Hu, played by Jeremy Tsui. The 'villain' couple ended up being remembered by the audience more so than the main couple. The 2009 drama series Chinese Paladin 3 仙剑奇侠传三 featured a cast led by Hu Ge and Yang Mi as Jing Tian and Tang Xuejian. Tiffany Tang was in a supporting role as Zixuan. Although the focus of the series was on the main couple, the love story between Tiffany Tang's character Zixuan and Wallace Huo's character Xu Changqing captured the attention of viewers. Tiffany Tang's popularity also rose tremendously as a result. 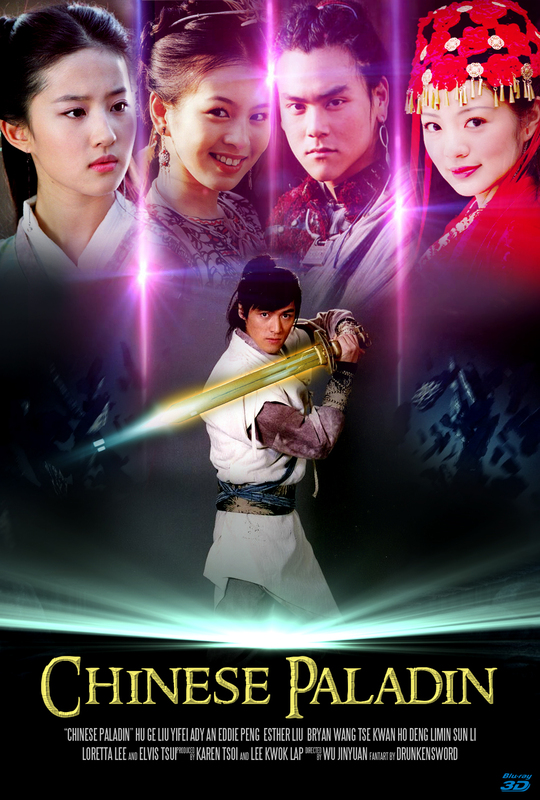 The 2005 drama series Chinese Paladin 仙剑奇侠传 was the first in the popular franchise. It starred Hu Ge and Crystal Liu who have both gone on to build spectacular careers. Ady An was again cast in as the supporting character, Lin Yueru. For some people, the series had two lead actresses. Although a completely different type from Crystal Liu's fairylike portrayal, Ady An's Lin Yueru was also captivating, strong and beautiful. 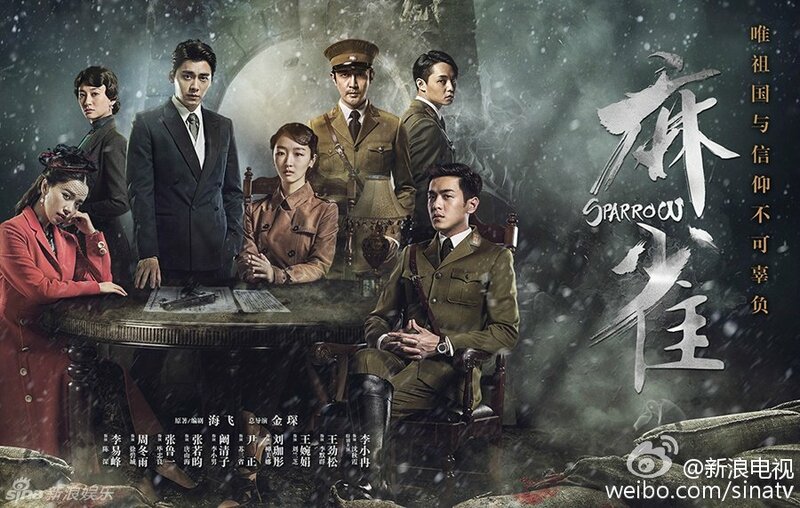 Li Yifeng and Zhou Dongyu played the leads in the 2016 drama series Sparrow 麻雀. Adi Kan Qingzi played Li Xiaonan, a bubbly side character who caught everyone by surprise. Despite being the lead female in this spy drama series, Zhou Dongyu's character was just not cut out to be a spy. She felt more like a plot device to move the story forward since she wasn't very smart and got caught easily. Adi Kan's Li Xiaonan, however, was a different story. She was a person with great love in her heart and gave a passionate performance as a woman who was brave in the face of danger. It was Jin Dong in The Disguiser, not Luo Jin? Janice Wu stole my heart in Fighter of Destiny! They didn't exactly steal the show...I think steal the show is more like when the leads are in the drama only 10% of the time and 90% went to others, because nothing is even about them anymore. Some people might turn out to be more memorable after the whole drama end. But if they didn't conquer the entire the screen time then they are not the most significant ones, the show is just not about them. And, if the one who did conquered the entire screen time, happend to lack luster so much, then the drama is just a mess. The side kicks might only look better, but they didn't walk away with the gold prize too though. And these things really depend on people taste too. For example Chinese Paladin people equally ship HuGe+Ady and HuGe+LYF. But some people are also care less about the love triangle and prefer the cute Tangyu+AhNu ship more. But that didn't mean they stole the show. Many people also liked the HuGe+YM ship as much as the Wallace+TangYan ship in Chinese Paladin 3 too. I can't say TangYan character was the best, but that's maybe my taste. Yu Zheng's Swordsman is unfair because first of all YSS is not cut for the RYY role, and on top of that he twisted the plot for DFBB to be LHC's lover. Anybody could've play DFBB besides Joe and will still be the one who stole the show because YZ already wrote the story to be that way. And sorry I did read it wrong, it is scene stealer, not show stealer. I agree, nowadays the second lead/supporting cast have more screen time than lead actors. Viewers have no choice but to watch them. Agree anyone can play DDFB, at that time Joe Chen was more popular than YSS, and was more favorable. That was the worst adaptation, and I love Wallace Huo! One of my fav Wuxia character is LingHu Chong, but YZ made it into a hot mess! The things about Guli Nazha's character in "Fighter of the Destiny" is that she wasn't written well in the book either as some book fans have pointed out. But then, there are rare actors who liven up an otherwise flat character. And people root more for the "anti-heroes" because it's tiring to see the lead characters silencing their enemies in the later half of the show when they've been endlessly bullied in the first half. Moreover, nowadays, I feel like leading actors are more like props that draw audience to their projects and they end up not having much scenes or the plot focuses more and more on their family and friends, and the supporting actors take most of their screen time because they are the ones who are financing the movie or it's their management who's partly or entirely in charge of the drama production. And Guli Nazha had some photos of her ex leaked too. She had a crying video where people mocked her being weak and using tears to gain sympathy. Her acting isn't great, but it's about the same level as popular actresses today. She's just mostly casted in bad written dramas. It's hard for stars who lose reputation to get back up. I wonder if that's the same with Zhang Han he's not seen anymore. The stories of why today's second leads have to look uglier than the main leads. I must give props to those leads from the list of those mentioned dramas, after all they dare to act with people who are pretty.